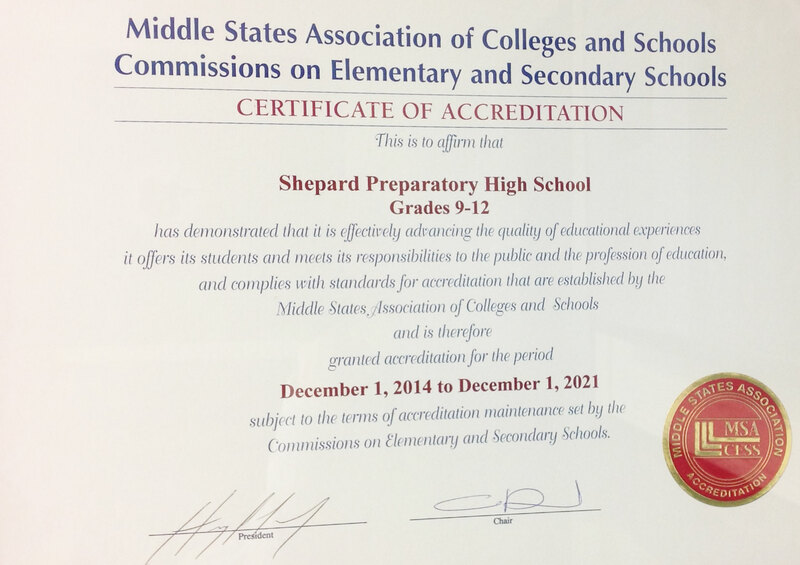 Shepard Preparatory High School was proud to receive formal notification of a full seven-year accreditation from the Middle States Association of schools. Accreditation is a prestigious achievement that requires thorough examination of a school’s effectiveness, climate, performance, and overall quality of education. All Shepard stakeholders (including parents, students, teachers, support staff, administration, sending districts) completed a self-study using established world class standards to assess school practices. Shepard was visited by an impartial, third-party committee in March of 2014. This committee reviewed the self-study, observed instruction, and visited with the school community. The result was an overwhelmingly positive experience culminating in a full accreditation for our school. Shepard is a 2014 Champion Brain Alliance Winner! Shepard is a 2014 champion school winner of the New Jersey Brain Alliance! The New Jersey Brain Alliance raises public awareness for brain injury through education. Students created a collaborative project to address teen safety. Shepard’s project focused on educating new drivers on the dangers of drinking and driving and distracted driving. This message was communicated throughout the school via posters, images and lessons incorporated into health classes. Shepard students presented their project at the annual UgotBrains showcase this June and received a 1,000 award! Visit the Brain Alliance website (click here) to view our school’s message on teen driving safety!